15 mile long run, at four months postpartum/post c-section. On Saturday, I woke up early, and hit the MVT south side for my 15 mile run. It had rained, Friday night, so everything was wet, and although it was humid, it felt cooler than the summer scorcher the day before. I started my run around 8 am. The trail was already buzzing with other runners and cyclists. Finally, I wasn’t alone. I even saw Potomac Road Runners out there, and water stations set up if one needed water, making me smile. “That’s a kind gesture”, I thought. It reminded me of why I love the running community and at that moment I felt thankful to be a part of it. The trail had some rolling hills, which I actually prefer – it kept things interesting. When looking back, I have come to the fact that this is the longest run, that I have run since my 2016 marathon! That alone is something to celebrate, especially since I’m only four months postpartum/post c-section. And the cherry on top, is that it went well. Not my fastest 15 miler, but I’m not racing my training runs. I’m in a different season in my life, now as a mommy of two. I took the fourth trimester very seriously. And took that time to rest, heal, connect with my new little babe, Ava, and help my Zoe transition to big sister. It has been harder than I thought it would be to find time to fit in my weekly runs, being a working mom, with a 3 year old and 4 month old – but other mother runners do it. I have the double bob and almost all of my weekly training runs have been stroller miles, running pushing my babes. The stroller running has definitely helped me gain core strength, and although, there is still strength to gain, this is great progress for me, considering I couldn’t even do one sit up weeks after labor. I’m still breastfeeding Ava, and that alone demands a lot of my time. And lately during her four month regression/growth spurt, that also means sleepless nights. As expected, at four months postpartum I’m still getting my fitness back, after having baby Ava. I still have 8-10 pounds to loose. And I don’t have my speed back yet, which makes my runs slower and more time consuming. Happy Holidays and Happy Babies! It’s been a full two months of busy holiday excitement, from hosting thanksgiving to cutting down a Christmas tree, and everything in between… writing had to take the back burner. But oh my, it feels good to be back on the blog! The above photo was taken on Friday, October 13th, 2017. That’s me running on Martha’s Vineyard, running 6 miles, with my 2 year old cozy in the BOB running stroller… and my second baby girl cozy in my belly at 17 weeks pregnant!! I am now 27 weeks pregnant entering my third trimester on Friday. And unlike my last pregnancy, I have continued to run through out this whole pregnancy. I’m definitely slower, and not running as far, but I’m still out there, moving. Our new baby girl is due on March 23, 2018. Zoe, my two year old, will be two years and 7 months when she arrives. My plan for this blog for the next 3 months is to update regularly about my experience running while pregnant and living a fit pregnancy lifestyle. Feel free to leave comments and questions, here on the blog and on instagram. I’m ecstatic to share this chapter of my life with you. Marine Corps Marathon : Tips and 2014 & 2016 race recaps. This is my all time favorite race, the marathon being my all time favorite distance! I want to wish everyone a great race tomorrow! So I’ll share a couple things with you. • FLASH BACK – These are some of my favorite race photos from the 4x I have run it. Make sure you smile at the camera! Enjoy it, take it all in. You will get emotional, especially at the blue mile, but that’s what this race is all about. 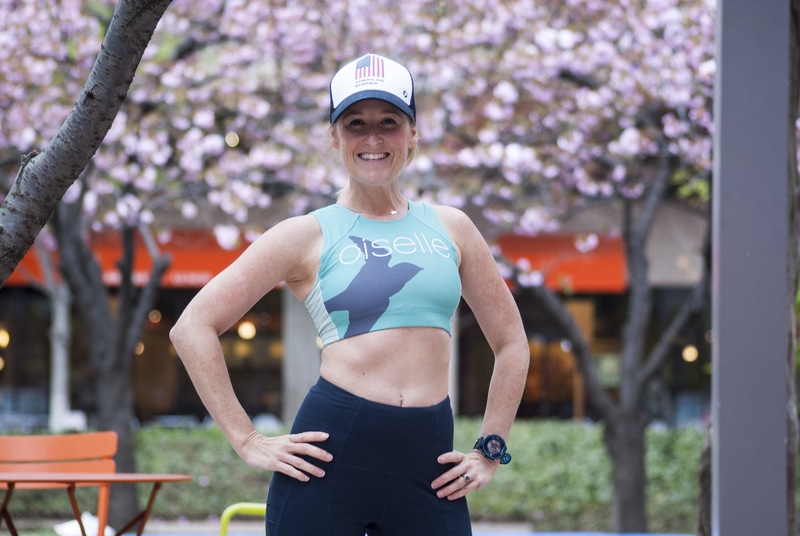 • CHEERLEADER – I will be out there cheering at mile 22 with my Oiselle Teammates. This mile marker is right after the 14th street bridge. On the runners right side. If you need to see a friend at this point to up lift you, look for me! • TIPS – If you are a marathon virgin, or if this is your first time running MCM, check out the tips below and race recaps from previous times I ran it, including last year’s race recap. • QUOTES- ‘m going to leave you with 2 of my favorite quotes! Now read below for tips and race recaps. Here are my top 26 tips for all of the Marathon Virgins out there running Marine Corps Marathon tomorrow… 1 NIGHT BEFORE: Check social media for inspiration and updates, this includes facebook and instagram. Marine Corps Marathon pages always have a count down. And the night before race day facebook status always gets me pumped. 3	Never wear anything you haven’t worn before. 4	Make sure your ipod and garmin are charged and ready to go. 5	Eat protein and carb race morning, good option – Bagel with Peanut Butter. 6 GETTING TO and FROM: If you are riding the metro in the morning, you will be getting off at the Pentagon. But honestly if you get confused just follow all the other runners. If you plan to metro after the race make sure you get enough money on your metro card for both ways, getting there and coming back. Metro will be really busy on the way back. The Rosslyn Metro stop is the one closest to the finish line. 7 THE START: At the start, strip down and check your bag. If you are one that gets cold easily then make sure you have throw away gloves and shirt. It will be cold in the morning but warm at the finish. 8	Oh and don’t forget to BODY GLIDE everything. 9 CORRALS: Because Marine Corps Marathon is the people marathon they do not have any assigned corrals. Instead you choose where you want to be, by looking for the sign that says your finishing time on it. Try to get in the proper corral or the one a head of you. For example if you think you will finish in 4:30 then hang with the 4:15 group. This race is a very crowded race with 35,000 runners. 10	WATER STATIONS: Have a game plan. Are you going to walk the water stations? When are you going to take your sports beans? 11	ROCK CREEK PARK can get congested. But stay light on your feet and use momentum to fly down the down hill part. 12	FOCUS ON RUNNING FORM. 13	13.1: Once you hit the half way point start to break your race into pieces. At this point, you are in Hains Point, the most boring part of the race. It is time to start counting. 2 more miles and you will be at mile 15 and out of the stupid park and on to the National Mall. 14	MILE 15: Enjoy, look around you are running the National Mall. 15	MILE 17: This mile is significant meaningful mile in a marathon because it takes us into single digits, only 9 more miles to go. 16	SIGNS: Don’t forget to look at funny signs. The spectators are the best at this race. 17	MILE 20: Beat the Bridge. The bridge is long and slow. A lot of runners HIT the Wall here. There aren’t very many spectators here. Sometimes it feels brutally hot with sun shining on you. Other times it feels really windy. This is the time when a lot of runners start walking and stretching out. This is when I tell myself to keep running, don’t walk. At the end of the bridge you are in Crystal City. Leaving DC and entering VA.
18	MILE 21: This mile is significant for me because in training my longest run is 21. During my weekly training I do a 5 mile easy run. When I reach 21 in the marathon, I tell myself, “Only 5 miles to go, my 5 mile easy run.” Everything is mental at this point. 19	CRYSTAL CITY: Once I’m at mile 23 looping around Crystal City I am looking at the spectators focusing on seeing people I may know. I also am saying my mantra. 22	The last little bit is up a hill and then the finish line. But who cares there is a hill, you made it to the finish. 23	Enjoy getting your medal and check out all the hott marines. You earned it. 24	MILE 27: Walk, Walk, Walk. The most important mile is mile 27. The mile you walk after the marathon. This mile walk helps avoid cramping. 25	Eat an awesome brunch to refuel and celebrate. 26	Take it easy for the rest of the day. Consider taking hot yoga later in the week. Good luck to all of the Marathon Virgins out there running tomorrow for the first time. Good luck all runners. Look for me, I’ll be cheering for you. Also if you want to read about my experience running Marine Corps Marathon, you can find the 2 full Race Recaps. Last year’s: Marine Corps Marathon 2016 Here Marine Corps Marathon 2014 here. Have fun Marathoners!! 1 year of Running for Oiselle! I haven&apos;t written a Running post in a while… I&apos;ve been totally slacking on the writing part not the running part. If you want to follow my daily running journey then head over to my Instagram page @sweat1xdaily and follow along. I post running training and racing updates almost every day. 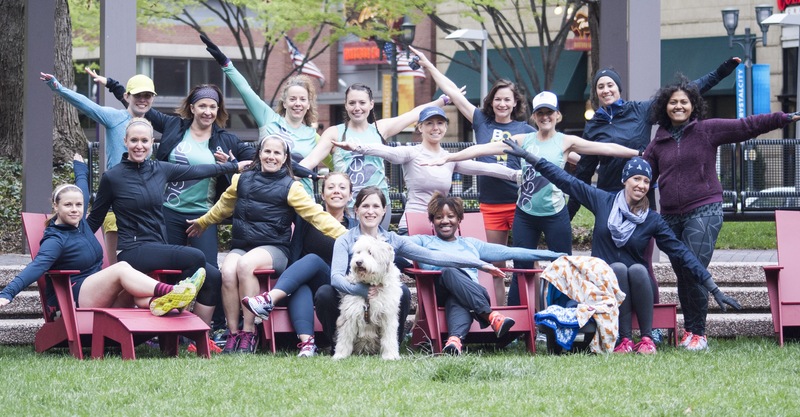 I often get asked, "What is Oiselle?" Oiselle is a women&apos;s running apparel company that focuses on empowering and supporting women athletes. They have a very strong focus on community. 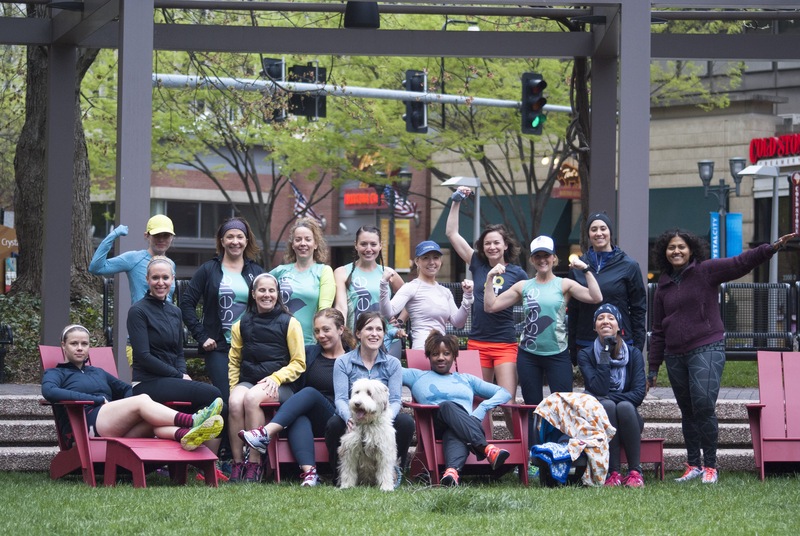 And because they find community to be one of their number one priorities, they created Oiselle Vollee, a nation wide team for female runners. My one year anniversary of Running for Oiselle came and went, and I couldn&apos;t be more excited to be part of the team for another year. These team photos were taken back in April and I am so glad to finally have the chance to share them with you. For those new to reading this blog, – in 2015, I gave birth to my daughter, and once she turned 6 months old, I began running with her. Ever since then, I have become a stroller pushing Mother Runner, with a permanent running buddy. I am so thankful for my running stroller, it gives me the opportunity to run whenever I want. This is crucial for a busy working mom. Because of my running stroller, I was able to train for the Marine Corps Marathon at 10 months postpartum. However, joining the Oiselle Vollee team had been a desire of mine for a year or so, but I didn&apos;t know how to get involved. I finally reached out to some Oiselle birds on Instagram and got answers quickly that signing up would be happening in the spring. I finally got the opportunity to join the team in April of 2016. Being part of this team, has helped keep me inspired and motivated, and pushes me out of my comfort zone. However, I haven&apos;t met up with the team as much as I would have liked, so this year I&apos;m hoping to meet up more, and run more often with friends. Running with others, will only make me a faster, stronger runner. And I hope to inspire and motivate other team members as much as they have for me. In these photos, I wore my Oiselle singlet and the Aero tights, along with the American Runner trucker hat! This outfit makes me feel powerful because I am proud to wear my Oiselle singlet and represent a company that empowers and supports women athletes, while also creating a community. My Aero tights fit me perfectly and allow me to perform to my fullest potential, (they have a new colors in their new fall line, the Eclipse a collection.) The American Runner hat, defines who I am. As runners we may run for different reasons and set different goals, however we all share the same deep passion for the sport. As a Oiselle runner our experiences and running journey is each unique, but we share the same singlet. My running goal for this year is to connect with other runners especially those running for Oiselle. I also want to continue to find joy in running, instead of getting so wrapped up in what my garmin says. Do you prefer to run solo or run with a team?